Lake Nighthorse fell short of revenue and visitation expectations in its first season. But the city of Durango has high hopes for next season and plans to make additional investments in the lake. The city of Durango has high expectations for Lake Nighthorse’s second season after a somewhat rocky first year with lower-than-expected revenue and visitation. The lake was closed for nine days during the 416 Fire, and the boat ramp was closed for 35 days for construction, both of which led to pass sales being below expectations, said Cathy Metz, director of Parks and Recreation. The city doesn’t expect any closures of the lake or boat ramp in 2019, she said. After the lake’s first season, residents have raised concerns that they want the city to address, including fire mitigation, additional days for quiet boating and illegal social trails forming around the lake. “The city made me nervous because I don’t think they were ready to open the lake,” said Howard Mulcahey, a resident in Trappers Crossing subdivision, which is adjacent to the lake. Mulcahey said he drove by the lake regularly and observed fairly low visitation. The city expected to generate a total of $279,250 through contracts and pass sales in its first season, Metz said. But city data show the lake’s 48,078 visits in 2018 generated $194,662 in revenue. Through Nov. 15, the lake’s expenses were $364,812 – which is $170,150 more than the 2018 revenue. The city has an agreement with the Bureau of Reclamation, the agency that owns the lake, to split the lake’s operational shortfall, she said. The city will cover the rest of the shortfall with unallocated money from the 2015 half-cent sales tax that is dedicated to Parks and Recreation expenses, Metz said. This year, the city of Durango expects to spend about $400,000 to operate the lake and generate about $300,000 through pass sales and contracts with vendors. The Bureau of Reclamation will cover half of the approximately $100,000 shortfall and the remaining $50,000 will be paid for through the 2015 half-cent sales tax, Metz said. The city doesn’t expect to increase the price of passes for the lake or adjust the lake’s schedule, Metz said. “There wasn’t anything in the data that brought us to believe that we should be changing it,” she said. Resident observationsTrappers Crossing resident Sherry Bowman said she observed many people stand-up paddleboarding, canoeing and kayaking on the lake east of her home this summer, and so far, the neighborhood hasn’t been disturbed by noise from the lake. “I think the majority of users are enjoying the quiet aspects of the lake,” she said. City data backs up Bowman’s observations. Paddleboarding, canoeing and kayaking accounted for about 37 percent of the more than 48,000 visits to the lake. Motorized boating on the lake accounted for 13 percent of visits; however, Metz said she expects motorized use at the lake to increase in coming years because the boat ramp will be open for the full season. Bowman said she has observed social trails near the lake and surrounding mess. “I couldn’t believe the amount of cigarette butts and dog waste,” she said. The Bureau of Reclamation is responsible for the land that many social trails have crossed illegally, and the agency is working on a plan to restore trails to their original habitat, said Justyn Liff, a spokeswoman for the Bureau of Reclamation. 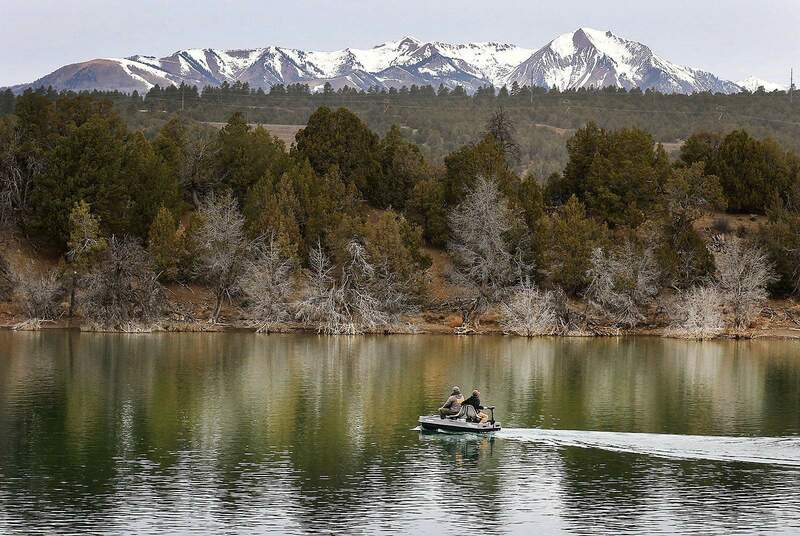 Bowman proposed that a formalized Friends of Lake Nighthorse group be created to help educate visitors to the lake about rules and help maintain the lake. She was particularly concerned about visitors smoking at the lake given last summer’s fire danger. Mulcahey said he is also concerned about fire danger and would like to see fire mitigation around the lake. “It’s a gigantic risk,” he said. There are some volunteers who are assisting with the stewardship of the lake, and “that opportunity will continue to grow,” Metz said. Fire danger is on everyone’s mind, and the city removed some dead trees and debris after the lake closed in November, she said. However, the Bureau of Reclamation would be in charge of most fire mitigation, she said. Colorado Parks and Wildlife is planning to clear out some brush in the Bodo Wildlife Area, and the Bureau of Reclamation may work with CPW to do to some fire mitigation along county roads 212 and 141, Liff said. Quiet destinationDurango City Council set aside Mondays and Wednesdays at the lake as “no-wake” days. During those days, motorized boats may be on the lake but they cannot produce a wake, meaning they must go slow, which keeps volume to a minimum. Allowing and managing motorized boating at the lake was the subject of extensive public debate before the lake opening. A petition supporting a 5 mph speed limit on the lake drew about 1,200 signatures. Kristine Johnson, who worked on the petition, said in a letter to City Council the designation was appreciated, but it fell short. The Bureau of Reclamation paid to have the parking lot and boat ramp rebuilt last year because both had soft spots and were not structurally sound, Metz said. This year, Parks and Recreation and the Bureau of Reclamation plan to split the expected $558,800 cost to build a new accessible dock, put in a new picnic area and to drill a well near the entrance to the lake. The well is needed to provide water to the boat decontamination station, Metz said. Lake Nighthorse will be open from March 30 to Nov. 15 in 2019. It will be open only on Fridays, Saturdays and Sundays through April 28. Season passes are available at the Durango Community Recreation Center. A season pass for a single vehicle is $70. A punch pass for five visits is $30.